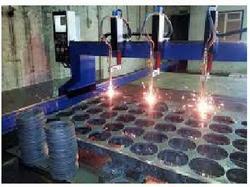 In order to provide maximum satisfaction to our clients, we engage in the utilization of quality resources, as per the set industry norms and guidelines, for providing this range of Profile Cutting Services. Owing to this, the service made available by us, provides a high level of satisfaction to our clients. In addition to this, the range is known to be marked at the most reasonable rate possible. 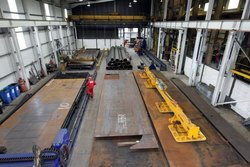 Being one of the leading providers of this CNC Profile Cutting Services, we never compromise with its standard of quality. Thus the service is made available by some of our highly equipped and skilful professionals, abiding by the norms and guidelines defined by the industry. This ensures the level of satisfaction the service provides and its punctual execution. 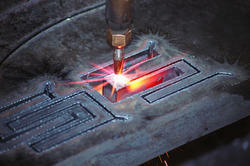 We are Provide the Plate profile cutting services in chennai and South india. 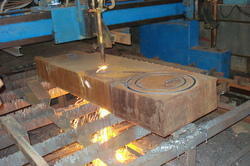 Looking for CNC Profile Cutting Services up to 300 mm Thick MS Plate ?